2016 FXDL103 in Vivid Black super low miles with lots of accessories. Starting with a detachable windshield for protection from the wind and it also reduces rider fatigue. 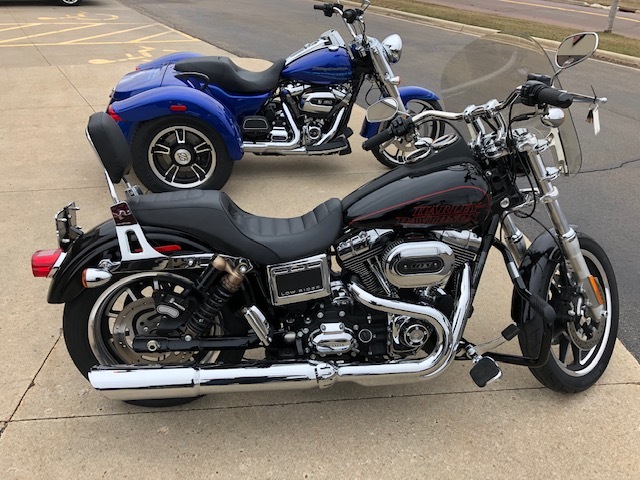 this Low Rider also has forward controls, progressive rear suspension, mustache engine guard and a Vance and Hines exhaust!